These shortcuts will allow you to use your KDE desktop without touching the mouse. These are only shortcuts for KDE, other applications have their own shortcuts. Be sure to check their shortcuts for a detailed listing. Note: The Meta key listed in some shortcuts is a generic name. On Windows keyboards, this is usually Windows key with a Windows logo. On keyboards designed for UNIX systems, this key is really known as the Meta key and is typically labeled with a diamond: ◆. On Mac computers, this is Command key with a Apple logo or ⌘ symbol. KDE Plasma Workspaces allows you to zoom in and out and move your entire desktop around, therefore you can zoom in even when the application you are using doesn't support it. In addition to the standard keys, many computer keyboards and laptops nowadays have special keys or buttons to change the speaker volume, as well as the brightness of your monitor if applicable. If present, you can use these keys in the KDE Plasma Workspaces to perform those tasks. 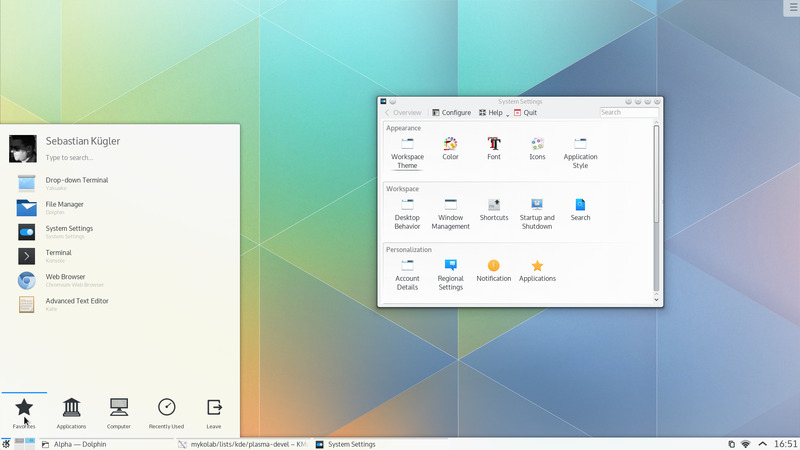 KDE Plasma is desktop environment developed by KDE mainly for Linux operating systems. What is your favorite KDE Plasma Desktop hotkey? Do you have any useful tips for program? Let other users know below.